Use for sherbet and ice cream too. Anything We use a tablespoon for from our regular tableware set. These soup spoons are great! Close to a match for my old ones that seem to disappear and perfect size for eating soup. Not too deep a bowl, not to flat, just perfect for eating soup. So glad I found them. I would buy these spoons again. Thank you. Have been looking everywhere for spoons like these. I prefer the wider teaspoons. Great for extra guests, soups, cereal, when you want help to twirl the spaghetti; or need a smaller sized condiment server. I bought myself a set of these a couple of years ago. This year for Christmas, I decided to order more and send one spoon along with each bag of bean soup that I always make , to give the the family for the New Years Day tradition of 'eating bean soup for good luck through the year'. I had several requests for 'more spoons', so again ordered a few more sets and have loved being able to find them each time and give them 'with' love to the family. Just used ours today for the pea soup that I made earlier. It is just the right size. I had been looking for soup spoons. The bowl of the spoon is just the right size. Great spoons for the price. These have a good weight and also are slightly curved for convenience. I love them and would recommend tem! I love these spoons! One day I realized the ones I have were either too big or too poor quality as I had a mix of spoons. So I treated myself to these. They feel wonderful to eat from and look at. Substantial weight too. Yes I would buy this produce again. I've been looking everywhere for good soup spoons! Finally found them and they are wonderful, for soups & etc. Great Quality! I highly recommend purchasing these soup spoons. You won't be disappointed! These spoons are great quality and I am very pleased with them. I cannot shop any more and saw these in the catalogue and they are perfect for me. I need more than 4 spoons and these turned out to be perfect for me. Attractive and easy to use. I bought a set of these soup spoons for myself...showed them to my daughter and she loved them so got her two sets. I like to invite friends for homemade soup dinners, but hate to use tablespoons because they are too large and teaspoons are too small. These are the perfect size. Our church kitchen has been lacking any form of soup spoon for years. 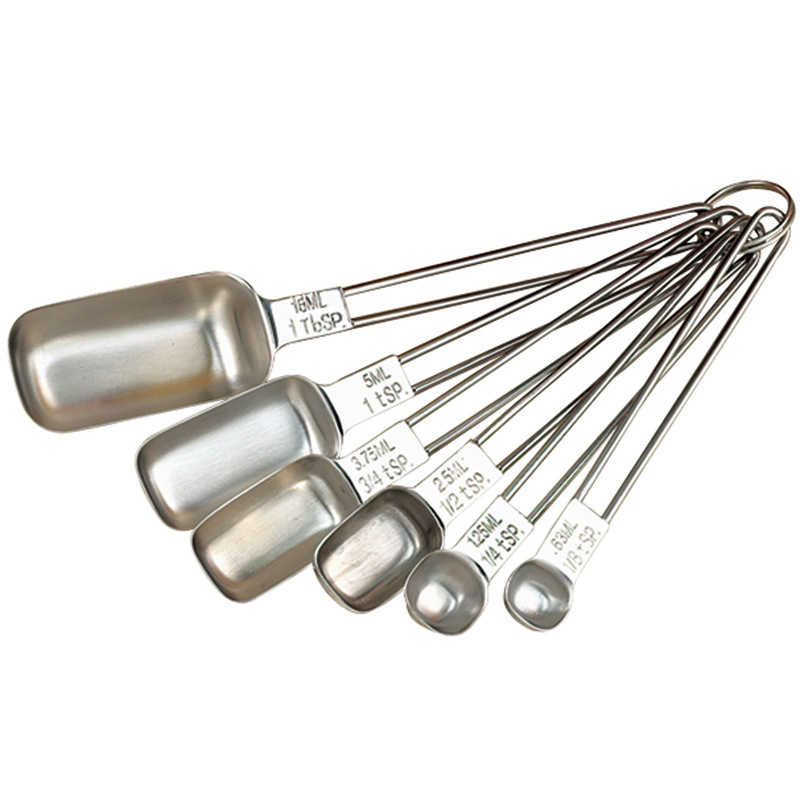 The ladies serving at dining events have always just used what I describe as tablespoons, the larger version of the teaspoon we use at the table. At least twice a year we serve soup/stew as a main course for the meals. Those so-called tablespoons we use don't match, and are not good for liquid-type foods. Buying this soup spoon set is just what we have been needing. I purchased 3 sets of 8 spoons so we won't be caught short in the future. This beautiful set is long overdue! My Lenox flat wear soup spoons are just so big! These are large enough for soup but fits nicely in your mouth! The simple ply designed handle goes well with most designs. Not at all flimsy or cheap looking! When I cook a big pot of chili or soup, I now have enought spoons for everyone! Looking forward to fall and winter for all the great soups to be made and tasted. This is my second purchase. First for myself and this time for our clubhouse soup suppers. They will be perfect! I LIKE THE SIZE OF THE BOWL. IT'S NOT SO EASY TO SPILL THINGS. I'VE GOTTEN WHERE I USE THEM FOR ANYTHING WITH LIQUID: SOUP, CEREAL, CANNED FRUIT, STEW, EVEN A VERY LOADED OMELET, ETC. IT'S NO PROBLEM, BUT THE BOWL ISN'T AS DEEP AS I THOUGHT FROM THE DESCRIPTION. GOES WELL WITH EITHER OF MY TABLEWARE PATTERNS--VERY GENERIC. I am very happy with my soup spoons. Serving soup makes it so fancy. It was one of those items you tell yourself you can live without, but now that I have them, I wonder how I did it. My husband loves these spoons! I bought a set for my daughter in law too. I like the light weight for some uses, but prefer a little heavier weight for other uses. I have been looking for this product for a while. It is exactly what i was looking for. I have been looking for soup spoons for a while. Glad to find them. They retain the appearance of being new. Very pleased. Have only had 2 weeks and found these additional spoosns to fill out for soup, cereal or in small serving dishes. Just what I wanted for soups! No more mess at the table! sized to easily slide into your mouth, easy to balance in your fingers.stays in the dishwasher basket without sliding through the bottom. has a nice finish and lack of pattern lets it blend in with any silverware set. Have not used these yet, but I am pleased by how they look and the size and shape. Soup spoons can be hard to find; and the design of these is simple enough to be used with different patterns of "silverware." I hope they hold up well in the dishwasher. 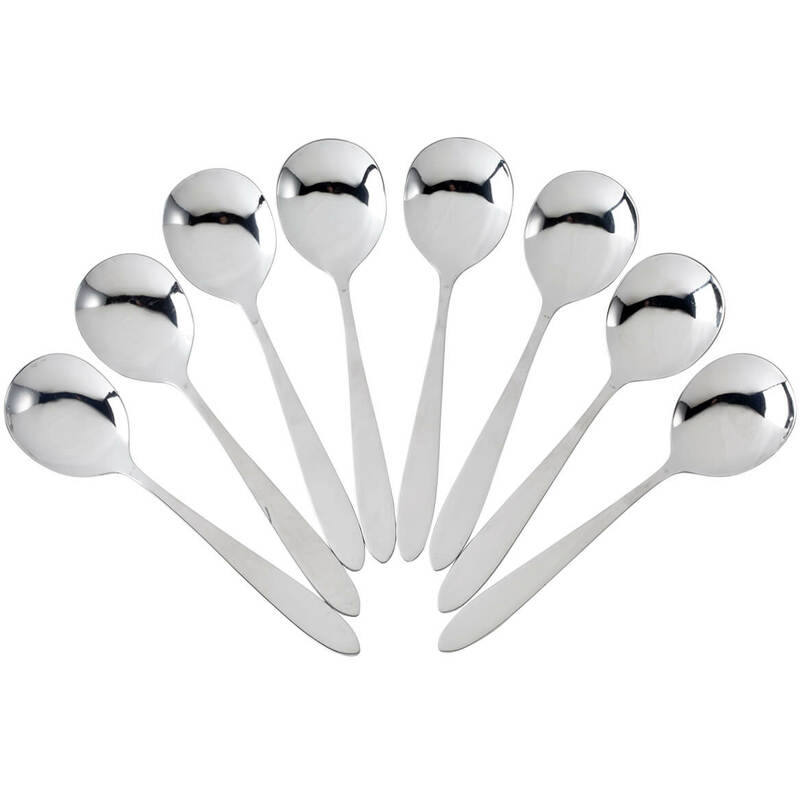 I would have given these a 5 star rating if I had not found that 3 of the 8 spoons have quite noticeable scratches on the top of their handles .... not large scratches, but the surface is so smooth that the scratches stand out. Bowls of soup spoons are so shallow that they are useless. I would have returned them if it were not for the $7.00 charge. Just not the quality I was hoping for. Returned. We eat a lot of soup and I always wanted them. I needed more for the other grand children. Always needing a soup spoon for soup. I need some good soup spoons and these look great! I prefer soup spoons for soup or cereal and you can't find them anywhere else. Need extra soup spoons. These are a universal style that will look good with my other flatware. We eat a lot of soup and I felt it would be nice to have nice soup spoons. Most silverware sets don't come with coup spoons. These look good and are hard to find. I know that they will be great, because of where they are coming from. I have never had a bed order. I'm disabled and have a fractured right elbow on right arm , I'm right handed and have to use my left are now and spill things off regular spoon. Can not find then in stores. I love the size & shape of a soup spoon. 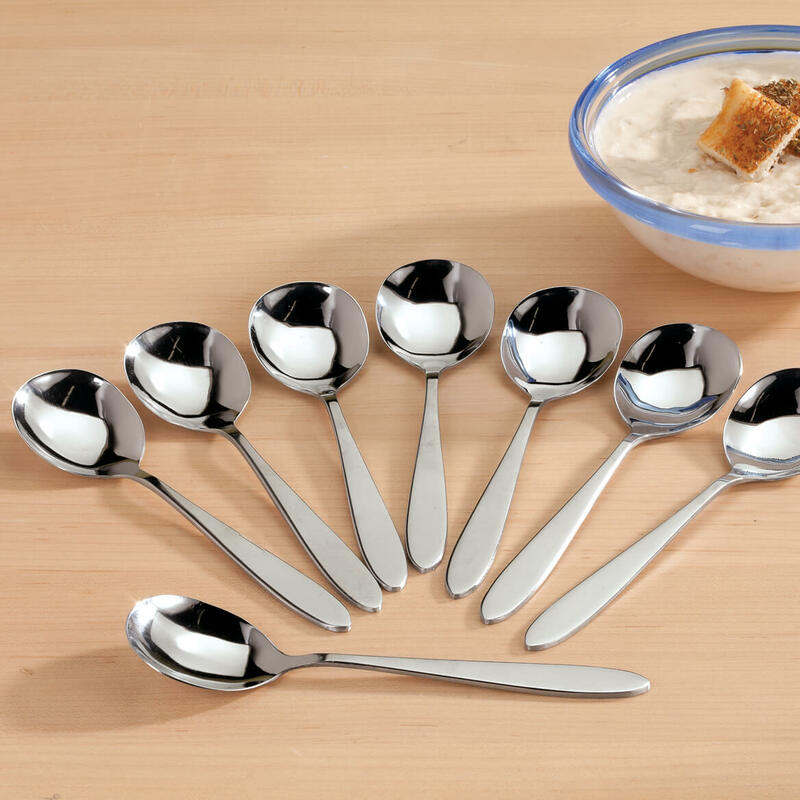 Prefer the shape of these soup spoons to the ones that come with a regular set of flat wear. I already have one set, getting another set for me and a set for my daughter who is getting her own place. Cant find them in stores & starting to get hard to find @ flea fairs too. It's just right for soup. I needed soup spoons and the price was right. I love these spoons and have never been able to find them. BEST ANSWER: The back of the spoon only says stainless steel but they are so hard to find I even give 4 spoons to my Sister who lives in Yuma. I am very pleased to have them. I don't know. They aren't marked. They are just stamped with "Stainless Steel". I'm very satisfied. Good quality. Thank you for your question. The country the spoons are made in is China. We hope this information is of help to you. What number is the stainless steel? BEST ANSWER: Thank you for your question. 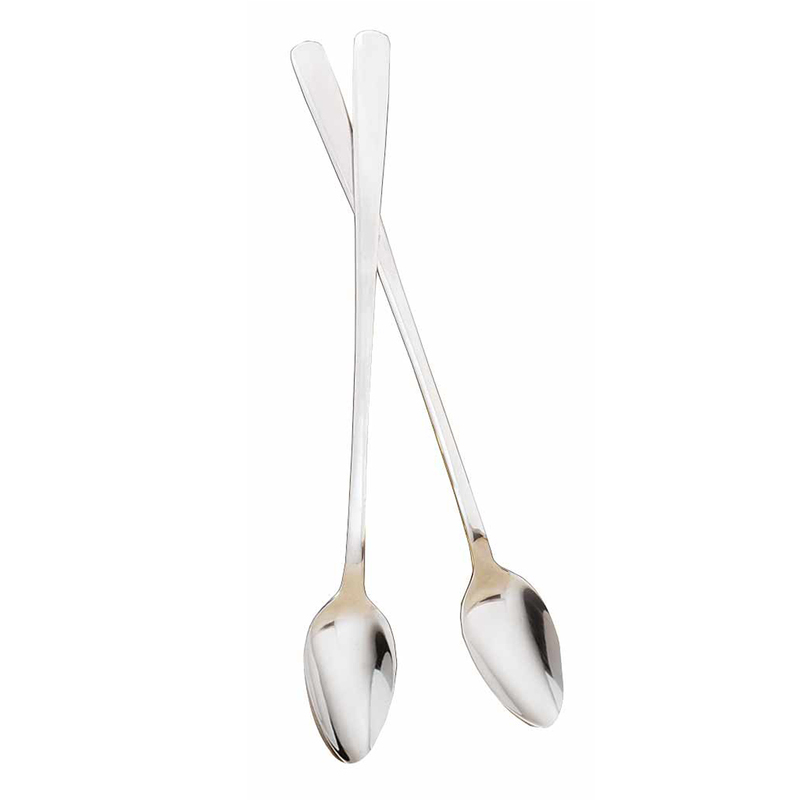 These spoons are 180/0 grade stainless. We hope this information will be of help to you.